A LONGSTANDING DISPUTE between two prominent families on Ridge Street may end up in a courtroom. Pete and Peggy Frazier were served with papers at their winter home in Florida on Monday. A lawsuit filed against them. On Peggy’s birthday, of all days. The plaintiffs? 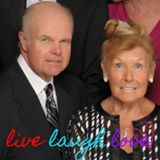 Their next door neighbors, Michael and Martha Conley. Mike’s a retired doctor and former city commissioner. The Fraziers’ son, Pete, is a current city commissioner. Here’s the background. 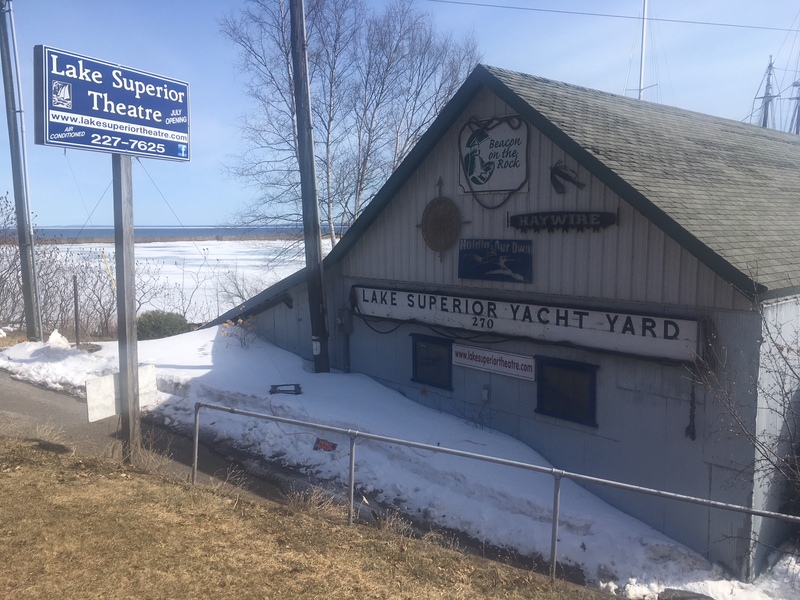 The Fraziers own the Lake Superior Boathouse down the hill from their home, and for the last 19 years, they’ve been leasing it to the Lake Superior Theater at a cost of one dollar a year. The theater puts on about 40 performances a year. In addition, they rent out the venue for a few nonprofit community events and 6-8 weddings a year, mostly in the summers. The profits from all the events, including the weddings, are plowed back into the theater, according to Peggy. “The theater is my thing,” she says. “It’s my passion. And all these events help keep the theater alive and benefit the entire community.” She’s the president of the theater board, and she and her family have been generous donors to it for the last couple of decades. So what’s the problem? For the Conleys, it’s the noise from the events. It disrupts their summer evenings and keeps them up at night. Their attorney, Greg Murphy, cautions us not to prejudge them. In addition, the Conleys contend that the city has allowed the Boathouse, a commercial enterprise, to operate illegally in a residential neighborhood, and further, that the city has chosen to sometimes ignore the city’s noise ordinance. Still, it appeared that the two sides were on the verge of resolving the dispute with several concessions by the Fraziers. Namely, 1) Pointing the loud speakers away from the Conley residence 2) Ending the music by 10 pm 3) Clearing the premises by 11 pm 4) Forbidding fireworks at the events. The Fraziers insist they’re already abiding by those rules. However, a couple of teensy weensy problems remain. Namely, the Conleys want a security guard posted at the events to ensure that rules are obeyed. Peggy says that’s pointless; she and Pete already act as security guards. And the Conleys also demanded that the Fraziers hold no more than six weddings at the Boathouse this summer, and then no more at all in future years. Peggy says she’ll agree to hold off on weddings next year but she won’t rule them out in future years because they’re moneymakers for the theater. And then there’s the more immediate problem: Peggy already had eight weddings scheduled for this year. She’s been working to move two of them, but so far, she says, she’s been able to move only one. She doesn’t want to break a bride’s heart and renege on another wedding agreement. Peggy, for her part, says she and her family want to continue helping the theater and the local economy whenever they can, but they’re willing to compromise. Peggy would like a mediator to step in and resolve it. The Conleys so far have said no. Sure seems like this unseemly, little dispute between highly respected neighbors could and should be resolved before it reaches a courtroom. Just don’t make any plans for lakeside weddings in the future. 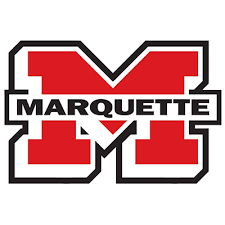 Word was circulating last week that guest tickets to the Marquette Senior High School graduation ceremony were being strictly limited. Like, only two per graduate. Which meant no grandparents, no big brothers or little sisters, no proud uncles and aunts, etc. It sounded outrageous. And fortunately it was untrue. There’ll be no limits, no rationing. What is true is that the high school did switch its ceremonies from its usual venue, Lakeview Arena, to the school’s original gym because of cost, but Young says the gym should be able to accommodate nearly as many people. Young estimates that Lakeview Arena’s capacity is about 3100. The gym, somewhat less, he says, but comparable. So, no problem because Marquette’s graduating only about 240 seniors this spring. Some quick math tells you each graduate could probably squeeze up to 10 family members into the ceremonies. Come one, come all.